A Sutton man who led police on a high-speed car chase across two counties with a 15-year-old passenger has been sent to crown court to be sentenced. 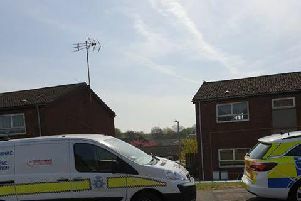 Jamie Sisson’s Renault Clio was followed by police cars from Mansfield Road, in Sutton, for 20 minutes, before he was stopped on Rock House Close, Tibshelf, on June 11. Prosecutor Judith Kirkham said: “On the A38 he went through a red traffic light. Police said that on at least two occasions he was driving on the wrong side of the road and oncoming traffic had to divert to avoid collisions. The court heard Sisson’s route took him along New Lane, Stoneyford Road, Mansfield Road, Downing Street, Outram Street, and Station Road, before he joined the A38. He turned off on Mansfield Road, and took Kingsmill Road East, before joining the A617, then turned off on to Chesterfield Road North, in Mansfield. He drove down Rosemary Street, Sutton Road, Skegby Lane and Dalestorth Street, in Sutton, then down Mansfield Road, Stoneyford Road, Fackley Road and finally High Street, in Tibshelf. Sisson, 22, of Carsic Road, Sutton, admitted dangerous driving when he appeared at Mansfield Magistrates Court, on Wednesday. Magistrates decided the aggravating features of the case meant it should be sentenced at Nottingham Crown Court. Sisson was bailed until August 9, on condition he has no contact with a witness, and resides at his address. He was also given an interim ban from driving.